Kij Johnson, an assistant professor of English at the University of Kansas, received the 2017 World Fantasy Award at the World Fantasy Association convention in San Antonio, Texas. 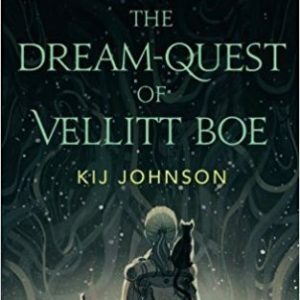 She was honored for her 2016 novella The Dream-Quest of Vellitt Boe (Tor.com, 2016). Johnson also won a World Fantasy Award in 2009, a Nebula Award for a short story in 2009, and the Hugo Award for best novella in 2012 for The Man Who Bridged the Mist (Phoenix Pick, 2012). Johnson joined the University of Kansas faculty in 2012. She is a graduate of St. Olaf College in Northfield, Minnesota, and holds a master of fine arts degree from North Carolina State University.